If you're not familiar with Ostrich leg skin shoes, you will be once you see the rich ribbed leg texture that only real ostrich leg skin has on the Siena by Belvedere shoes. The Siena is a classy ostrich leg skin shoe featuring a split toe design made all over out of Ostrich leg skin that is fully leather lined for comfort and will become an instant favorite to wear. 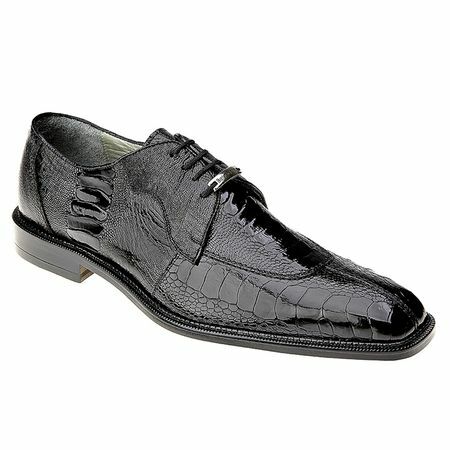 These black ostrich leg skin shoes will look like a Million on your feet.